The Dallas Arboretum and Botanical Garden recently finished up its first-ever 12 Days of Christmas exhibit, a popular display that not only helped the venue gain thousands of new visitors, but also national accolades. Over the holidays, Fodor's Travel released its list of 10 Botanical Gardens with Wow-Factor Winter Transformations, and our arboretum makes an appearance alongside gardens in cities like Chicago, Atlanta, St. Louis, Denver and D.C. 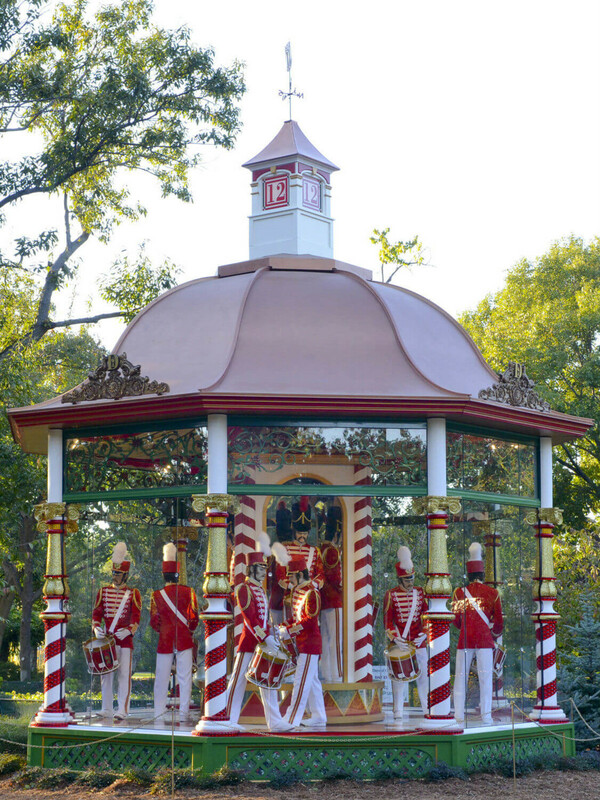 The 12 Days of Christmas exhibit was the prime reason for the Dallas Arboretum's inclusion. The recognition is just the latest in a long line of awards the family-friendly attraction has received, including one of the Best Botanical Gardens in the United States, America's Best Pumpkin Festivals, Top Family Attractions Worth Traveling For and more. In addition, the 12 Days of Christmas exhibit helped the arboretum set an attendance record, as nearly 1 million people visited the garden in 2014, almost a quarter million more than 2013. It even topped 2012, when the Chihuly exhibit ran for eight months. If you missed the 12 Days of Christmas, don't despair: It will return in November 2015. Next up is the annual Dallas Blooms festival, which starts on February 28.